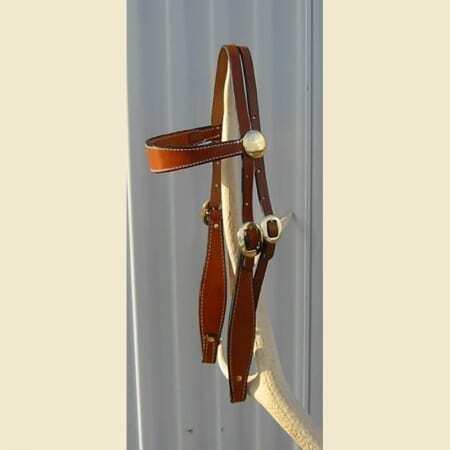 These custom split reins not only look good but they work good too! 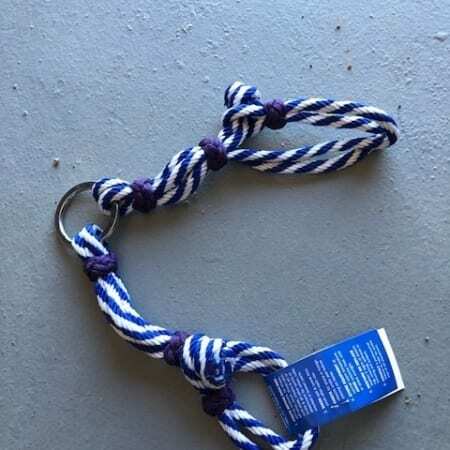 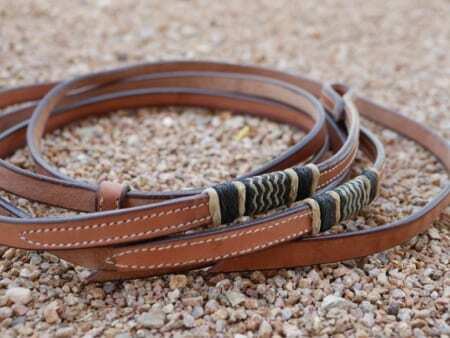 Steve has designed these reins to be strong and sturdy without needing a snap. 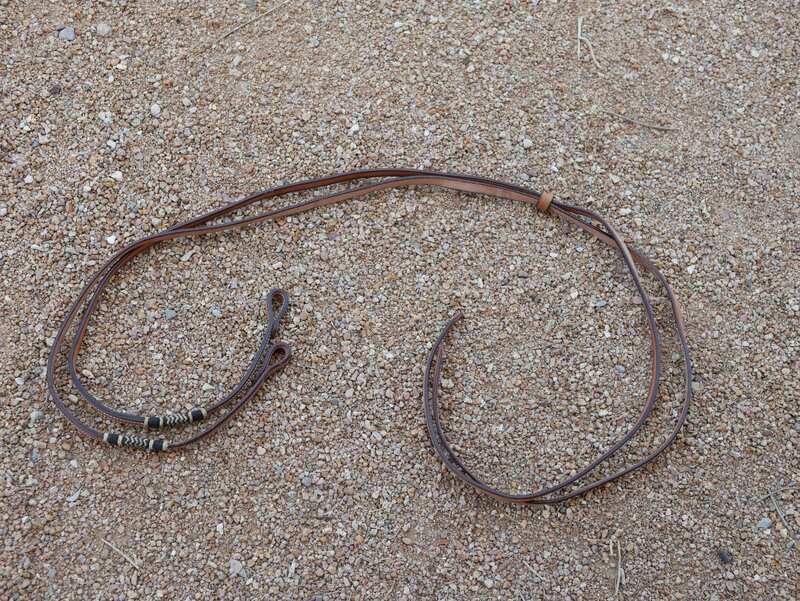 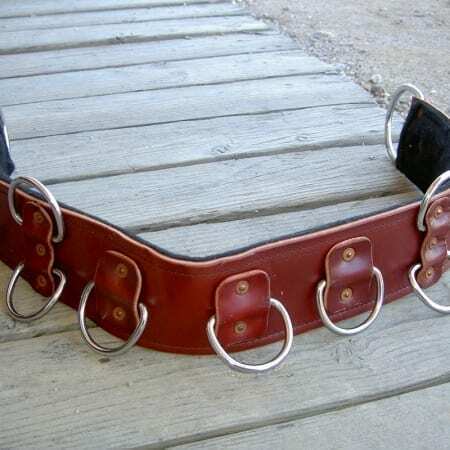 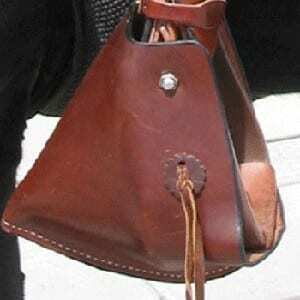 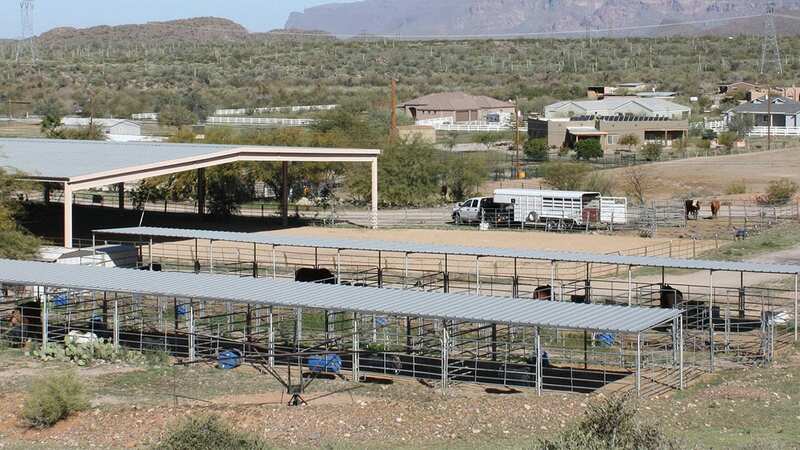 Split reins that have a snap attached to them causes tinging on the bars of the donkey or mule’s mouth and teeth. 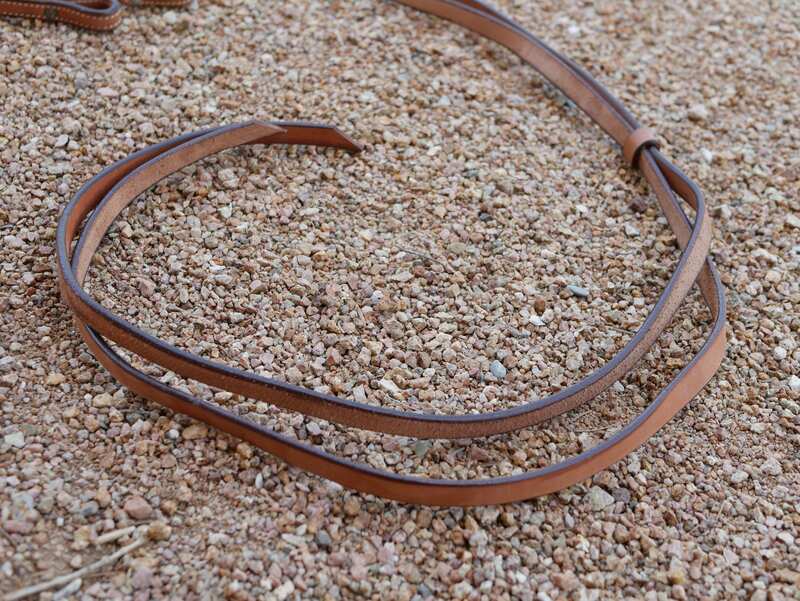 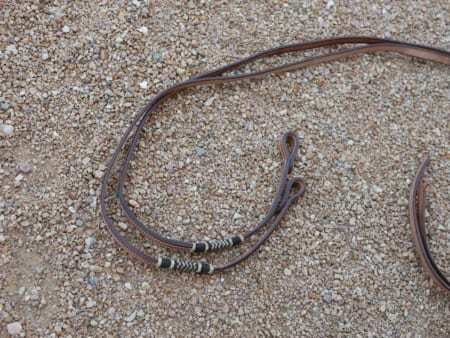 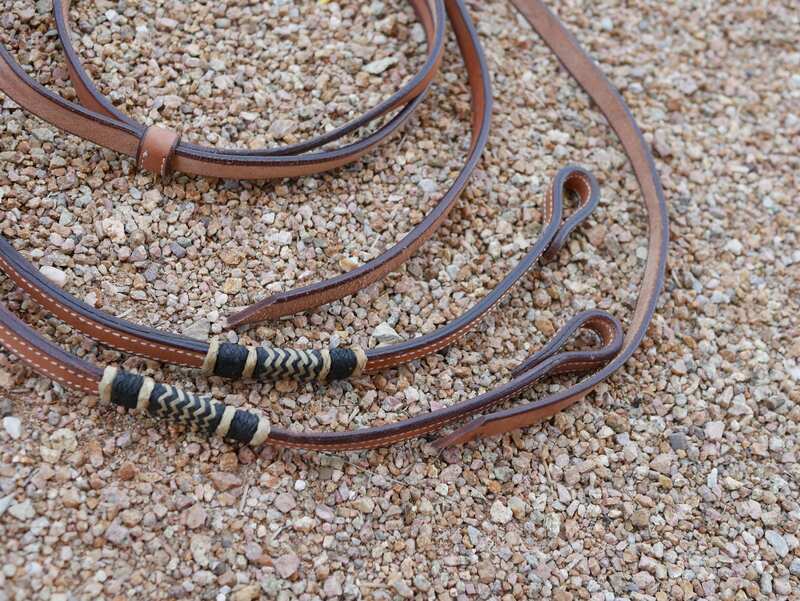 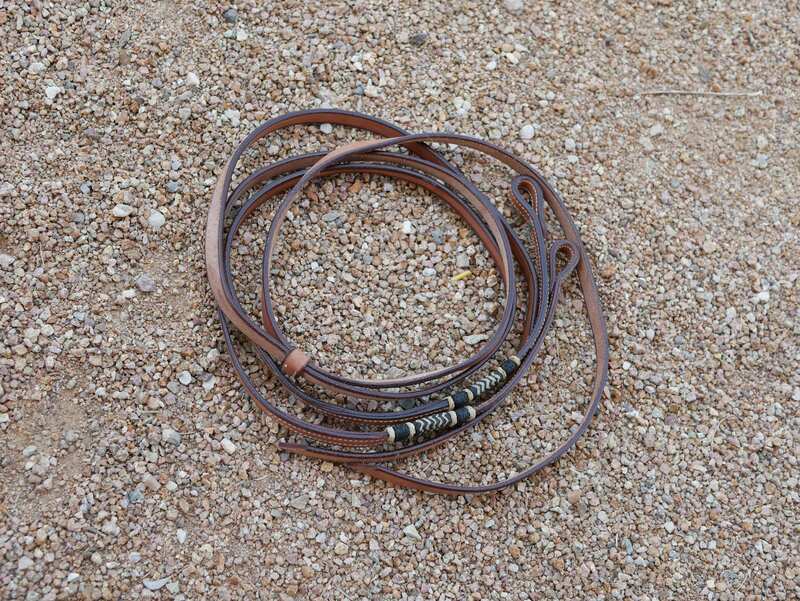 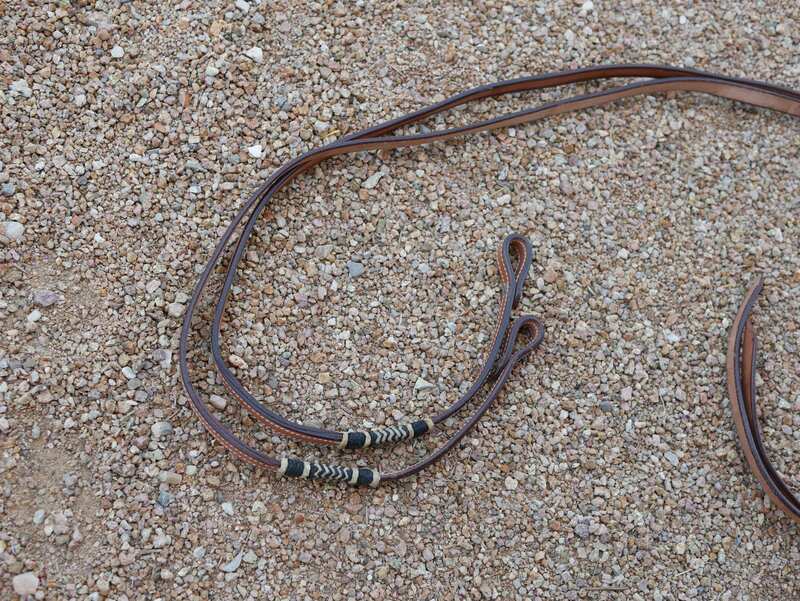 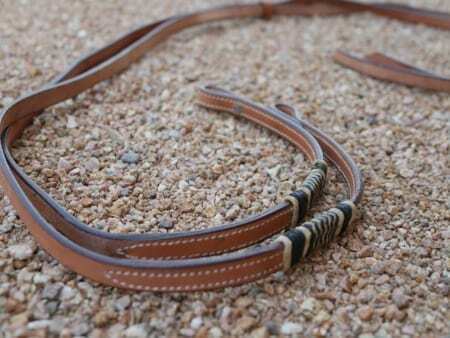 Steve’s custom split reins are made with a thick a harnessed material with rawhide braiding and double stitched. 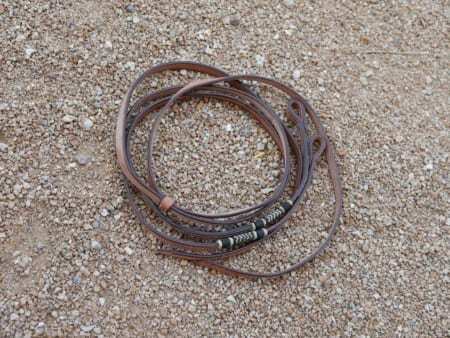 These split reins are made to last!